Why You Should Have a Beach Cardigan ? Some people mistakenly believe that beach cardigan is only for beach wearing. Here, I want to collect your idea. 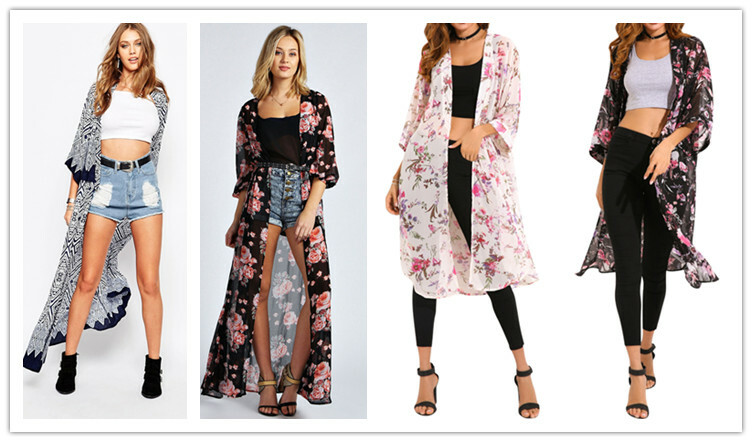 Actually, beach cardigan is not limited to beach wearing , which has become the necessary garment of fashion women especially the long one that makes you look taller and slimmer, completely satisfying the fashionable need. That is the reason why all the women like that. But actually there are more advantages of beach cardigans that may be unknown to you. Let me show them to you. Combining with many kinds of wearing. When you are wearing retro tankini and walking on the beach, why can you have no beach cardigan? Wearing beach cardigan not only functions as the sunscreen but also protect you from being cold especially after swimming. Surely, it is necessary for the function of fashion to keep you fashionable. Beach cardigan as a little coat can be combined with many kinds of clothing. The most basic combination is to be with a harness and high waist denim shorts and sport shoes, which is liked by many young beautiful girls. And adding a pair of sunglasses easily create a street fashion look for you. Besides, you can also combine Floral Print Beach Cardigans with T-shirt and denim shorts or jeans, which look so casual that you can wear it to go shopping. And combining it with dress can easily create a sweet and elegant look for you. A satin dress combined with a satin beach cardigan can be the wonderful combination of elegance and sweetness. And accessorizing it with long earrings perfect your dressing, making you look more elegant and fashionable. From what I mentioned above, the fashion function of beach cardigan is undoubted. Apart from it, it also function in the other aspects of our daily life. No matter you wear it to the beach or to the street, it is convenient for you to protect your skin from being burnt by the strong solar radiation. In addition, it also function as the important role in protecting you from catching a cold. After swimming, you can wear it to keep warm. And when you are going shopping or working under air condition, you can wear it to protect you from coldness.